Did you know that tea was first brewed over 5,000 years ago by the Chinese emperor and scientist Shen Nung? However, as delightful as this discovery was, it Tea was too costly to be enjoyed by ordinary citizens, but all that changed in the 14th century, with the decline of the Mongolian empire. Europe got its first taste of this beverage when the Portuguese began trading with China in the late 16th becoming more popular than ale in Great Britain. A Buddhist monk first introduced tea to Japan. In the 19th century, the English Duchess of Belford popularized the concept of afternoon tea. The Dutch introduced tea to Americans, who started selling it in the late 1600s. This wonder beverage is rich in antioxidants and several vitamins, making it beneficial for healing, and preventing several ailments. The high volume of antioxidants in organic tea flushes out harmful toxins. Green tea benefits include preventing dental caries, slowing down the aging process, and combating stress. This tea blocks cancer-causing polyphenois compounds, and may lower hypertension, and elevated cholesterol levels. 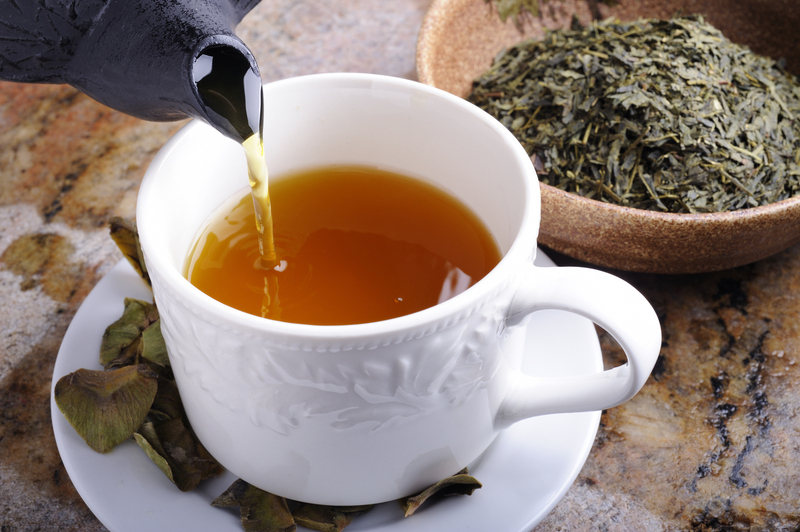 Sipping on a cup of green tea may also help increase your good fats. It’s ideal for stimulating your metabolism, alleviating body aches and tiredness, cleansing your bladder and kidneys, and detoxifying. Oolong tea has a high volume of flavonoids, and helps lower hypertension. You can boost your immune system with black tea. This tea may also prevent cavities and cancer. It helps ease and expand your arteries, so blood flows easier to your heart. This decreases your stroke risk. Or try white tea to combat bacterial infections. Herbal teas or infusions act as sedatives and stimulants. Brew a cup of red or rooibos tea to alleviate insomnia, irritability, or depression. This tea contains no caffeine, making it ideal for relieving nervous tension. Say goodbye to yeast infections and mouth ulcers with Echinacea tea. It’s also used to treat varicose ulcers, herpes, and skin problems. Use peppermint tea to alleviate menstrual pain and flatulence. It’s also great to use for the flu, or to relieve motion sickness. You can also eliminate gallstones with this tea. Chamomile tea is well known for its calming effect. It’s also great for easing menstrual cramps and treating mouth ulcers. Many suffering with gastrointestinal issues have also turned to this marvel for relief. It alleviates heartburn, diarrhea and irritable bowel syndrome. Use ginger tea for colds and flu and asthma. Eradicate migraines, motion and morning sickness, too. Ginger tea also serves as a mild laxative, and can treat heart disease. Our kombucha tea is also perfect for fighting candida, and improving your mood. It serves as a probiotic, which improves your digestion. Sift through our range of organic, kombucha, and ready-to-drink teas here.